Located on a cul-de-sac, this upgraded home has so much to offer: new AC and heating system (2014), new granite kitchen counters (2016), new laminate wood floor all downstairs (2016), new carpet upstairs (2016), new interior paint (2016), new water softener (2016), new reverse osmosis filtration system (2016) & all newer kitchen appliances (including gas range). Flexible floorplan with 4 bedrooms (plus bonus room ideal for office, den, gym or ?) 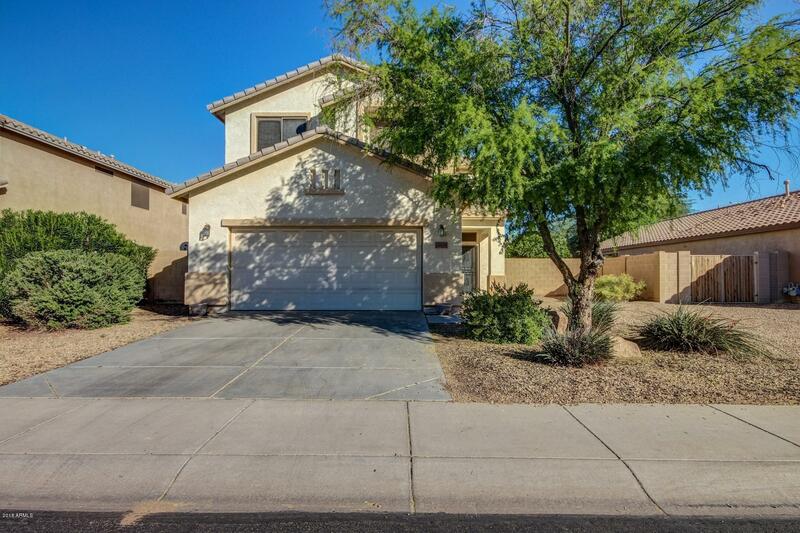 and 2.5 bathrooms, POOL with waterfall, artificial grass at back & side, newer light fixtures, ceiling fans in all bedrooms plus garage storage cabinets.